I’m often asked which Xyron machine is my favorite and for this assignment that’s exactly what the Xyron people wanted to know. Such a difficult question to answer – especially for me. I own, love and use them all and have for all my crafting years. 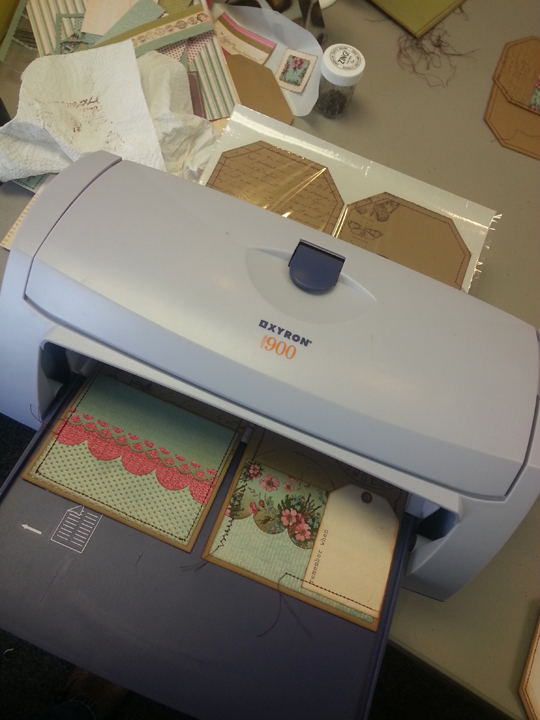 My Xyron 1.5″ Sticker Maker was purchased on my very first night of scrapbooking at a crop. I had no idea what I was doing back then but realized quickly this was one little special tool! It didn’t take me long to purchase the 5″ Creative Station then before I knew it I just had to have the 9″ Creative Station because I make a load of mini books. So, for this tutorial I chose the 9″ Creative Station as my favorite (though I did bring in the my 5″ and 1.5″ machine as well). I’ve wanted to make a little book like this ever since I seen the one, Heather Conklin, fellow Xyron Design Team member made last year. So here’s my version! 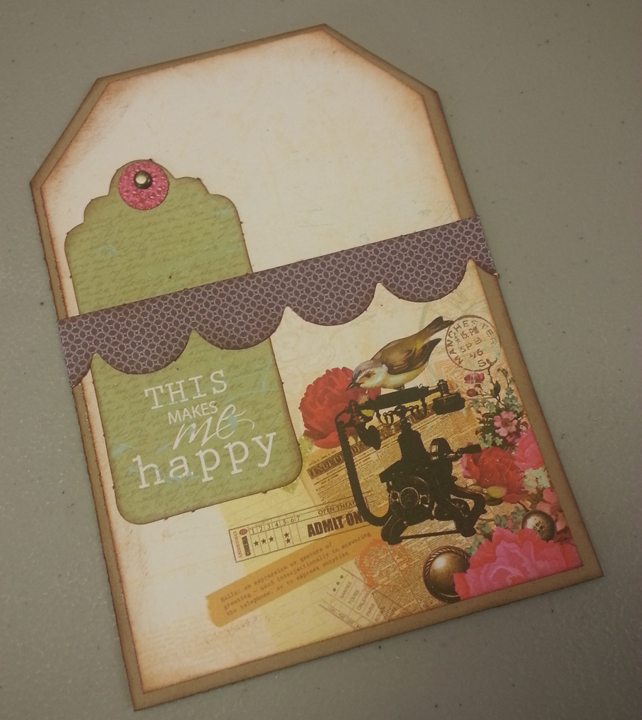 I began with a paper pad from KaiserCraft – Telegraph Road. 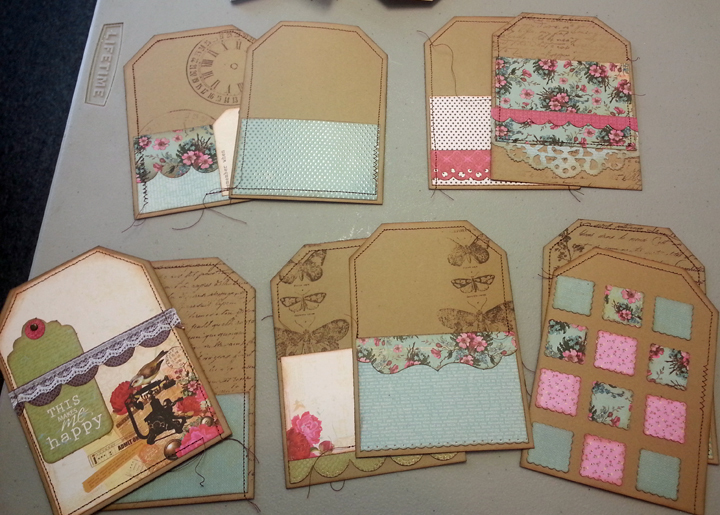 I also used craft-colored paper to cut my own tags to make the pages. 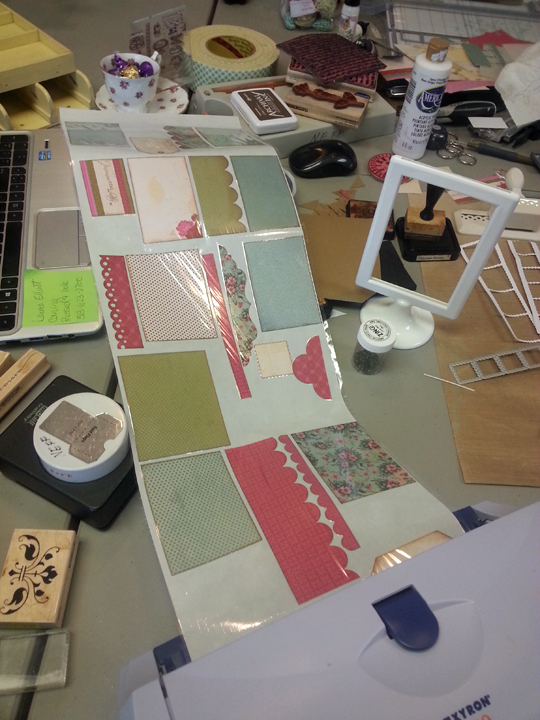 The papers were cut, punched and inked before running them through the Xyron 9″ Creative Station. Love my Xyron machines! 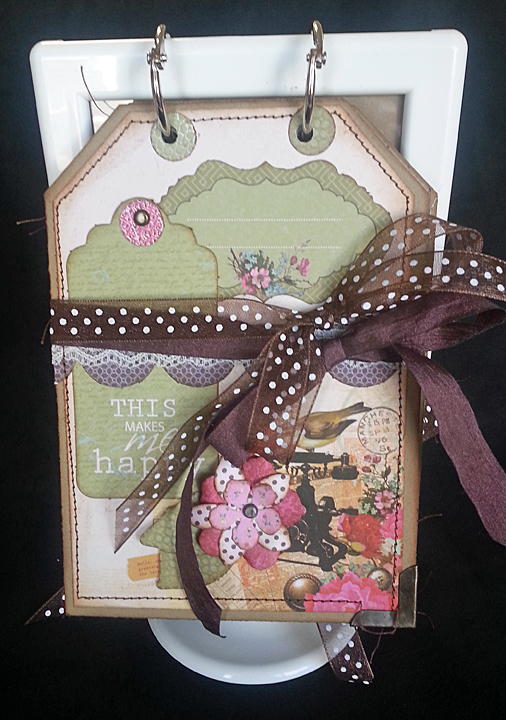 Xyron makes it so easy to create beautiful mini books. The papers are secure on the backgrounds and I never worry of any of them lifting. Then just remove the top covering of cellophane, peel and stick. When the pages were all decorated I stitched them around the edges a bit randomly. Half the finished pages were processed through the Xyron 9″ Creative Station so I could stick them back-to-back with the remaining pages. This book contains five pages back-to-back with room for photos on both sides. Holes punched in the top allow book rings to hold it together and hang from the Ikea Tolsby frame. 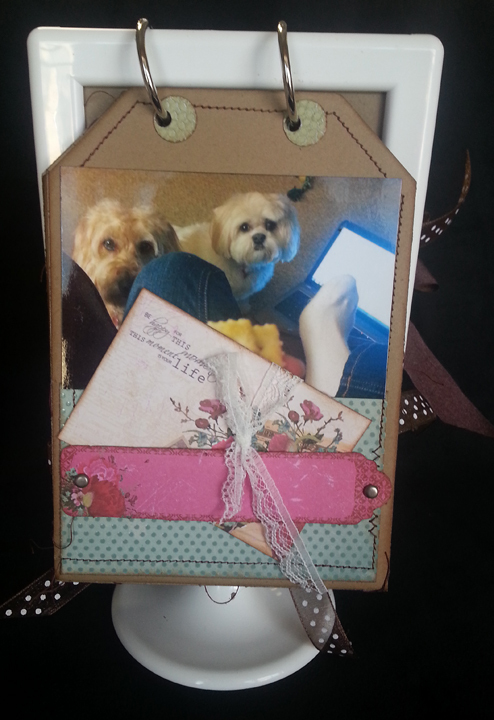 I added photos of my adorable grand-dogs, punched flowers, some ribbons and punch-outs from the paper pack to finish it off. 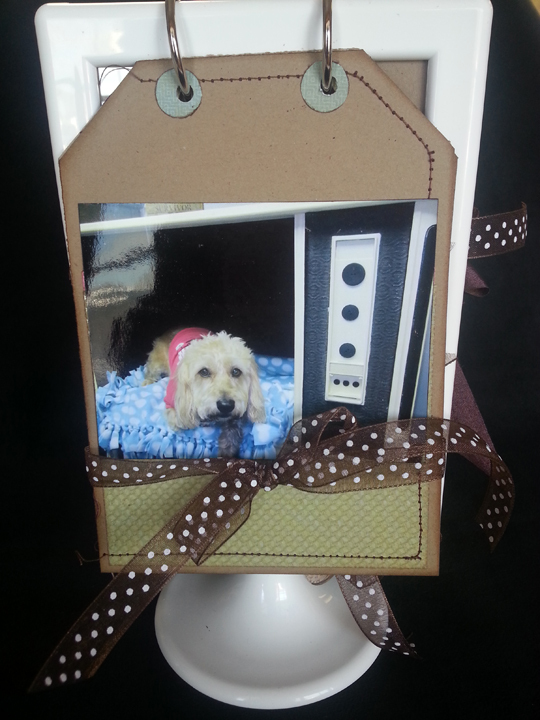 This is a wonderful way to display some of your favorite photos and Xyron makes it so easy to make! Linda, you shared with me the wonderful land of Xyron during one of the first classes I took with you. I had a 2″ but never understood what I could really do with it. Then during your class the light bulb came on, and I have been in love ever since. Now I take them everywhere I go. I have people watch me and go, “what a great idea”. I have 1″, 2″,5″, and 9″. and maybe one more little one I can’t remember. I use them all. Thanks for showing me why I needed a “sticker” maker. 🙂 This project just as all others was wonderful and adorable. Thank you, Lori! I love turning people onto Xyron – makes it so much easier and neater to create! Love it! Thanks for sharing. I use Xyron too but don’t have the large sizes. I do make a lot of mini books, maybe I should get one! Thank you Janet. I love the larger machines for mini books. My page never lift and they go down good and secure. I use my 5″ Creative Station for the cd mini books but can load them in the 9″ as well when they’re staggered. At about $1 per foot for adhesive it is so worth it for me. neat and clean and stuck down good! hello, Ivy! good to hear from you. yes. this is one of my class offerings during my weekend retreat here in the Studio. It’s on the February calendar. Would love see you in class. Oh my gosh! 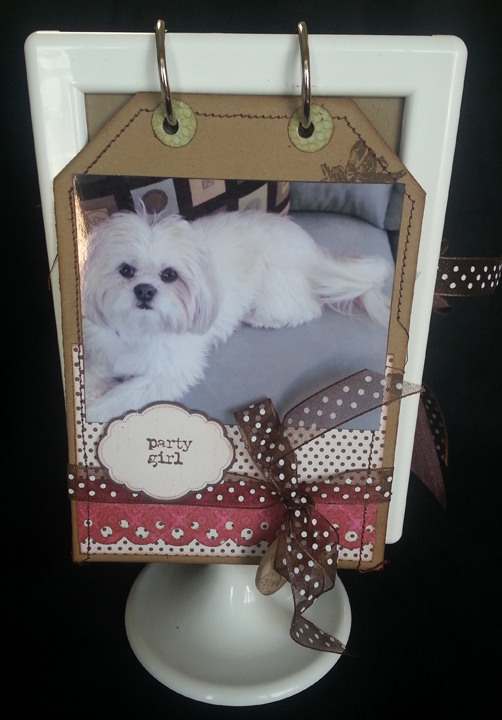 This is so darling to have the dogs pictures on! I can see why you feel in love with it & wanted to make your own version! It is great! I also know exactly what you mean about the Xyron. That is the best adhesive I have used . I got my first Xyron X so long ago. I got the 1 1/2 inch machine, the 12 inch Creatopia, the 5 inch, the nine inch as well, I bet my first Xyron was 12 to 15 years ago. I have mega runners, the small ones, etc. I agree when you use the Xyron you do not worry about giving something you created to someone & worry about it popping off or getting loose on your craft project. I do not nor have ever worked for Xyron nor have I every been paid by them for any projects or comments. I just simply know quality when it is great quality! 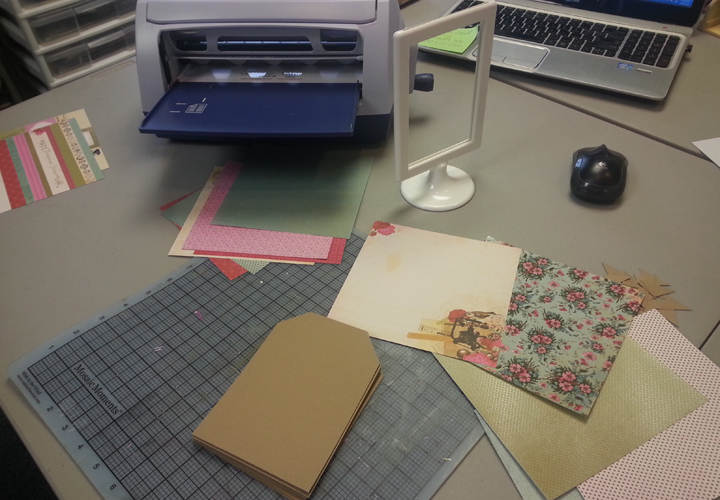 I probably use my 5″ Creative station the most as I make cards pretty often. Linda you did awesome on this project! It looks very awesome! Thanks for sharing it! Nice to hear you’re a Xyron fan, Judy! Thanks for all the great comments! 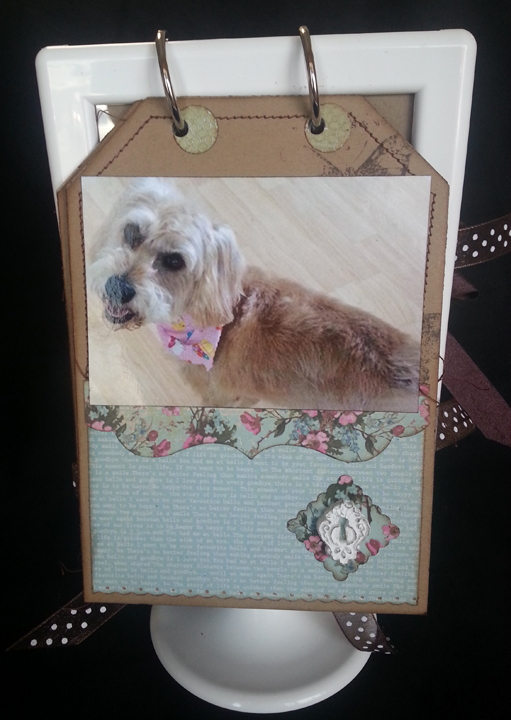 Linda, such cute grand-dogs and a creative album to display your craft. Thank you, Barbara. They’re my grand-dogs. I’ll give this to their mother after class.